On May 25, 2017, Dr. Madhav Paranjpe presented a webinar on the state of evidence surrounding the use of Tg.RasH2 carcinogenicity studies as a substitute for the two-year mouse bioassay. His presentation — "Historical Control Database of Spontaneous Lesions (Neoplastic & Non-Neoplastic) in Transgenic Tg.rasH2 Mice" — covered evidence drawn from fifty peer-reviewed studies, personal experience, and analysis of the growing body of historical control data supporting the model's advantages and utility. Dr. Paranjpe opened with a brief overview of the development and refinement of the Tg.rasH2 mouse model as a tool to evaluate the potential risks of novel pharmaceuticals, including genotoxic and non-genotoxic materials. lower amount of test articles required. Previously, the biggest obstacle in full implementation of the Tg.rasH2 model was the lack of a historical control database. Historical control data is one of the most important factors in drawing the conclusions pertaining to positive or negative carcinogenicity susceptibility. Now that a large amount of historical data is available, along with several publications, this obstacle no longer exists. Dr. Paranjpe noted that a 2014 paper indicated that over 75% of all mouse carcinogenicity studies are now conducted in the Tg.rasH2 mouse. He estimates that percentage will continue to increase. He also noted that the International Conference on Harmonization of Technical Requirements for Registration of Pharmaceuticals for Human Use (ICH) S1 Guidelines are expected to undergo a revision in 2019, which he believes will result in a reduction in the number of two-year rat studies. He expects this will also trigger a significant increase in the use of six-month Tg.rasH2 studies, in place of the two-year mouse bioassay. In the webinar, Dr. Paranjpe reviewed the standard progression of studies utilizing the Tg.rasH2, with examples of the study design. 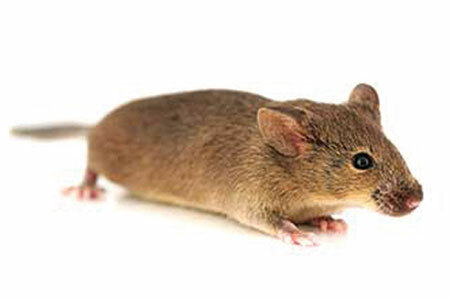 Generally, a five-day dose range finding study is followed by a twenty-eight-day dose range finding study, with both studies utilizing rasH2 wild type mice. The dose range finding studies are followed by the six-month carcinogenic study using hemizygous Tg.rasH2 mice.